Yesterday we announced upgrades for the DOWNLOAD button in the Client List page and for the ‘Custom Financial Report’. There is now a video available. Click here to view the video. We appreciate your suggestions for updates and features. Today you received an email blog regarding the DOWNLOAD button on the Client List and the report named ‘Custom Financial Report’. There was an important part missing from Step 2. Here is what should have been included. The new text is in italics. 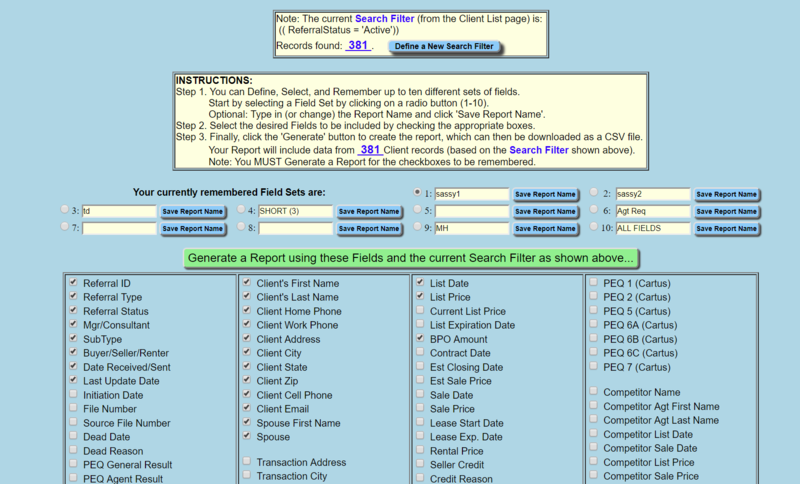 You always start with using the SEARCH button in the Client List page to filter the records. Click the DOWNLOAD button to open the field selection page where you can select which fields you want included. Next, click the green button labeled, “Generate a report using these fields…”. 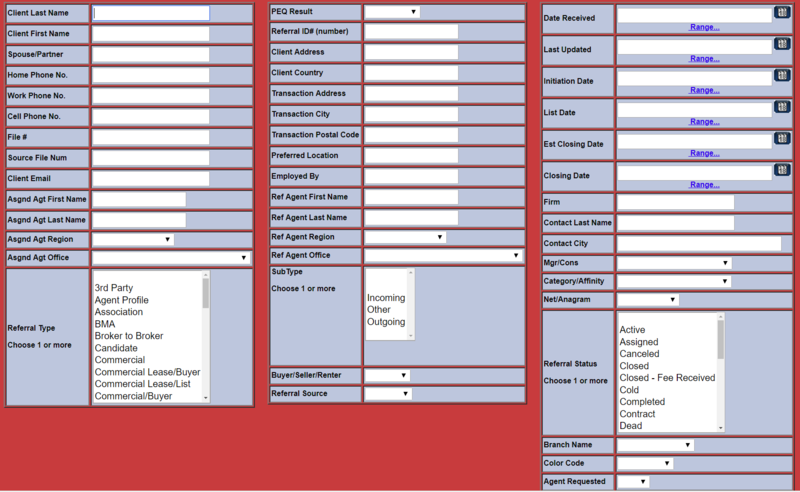 That will display a grid with your filtered records and selected fields. Click the DOWNLOAD button on the grid display page to insert the results into a spreadsheet. All the date fields are located in the upper-right of the page. The Field Selection page now includes Search results at the top (number of records found), updated instructions for saving the field list selected and the ability to generate the report that may be downloaded. Notice that this page will display just the first 25 of however many records were selected. 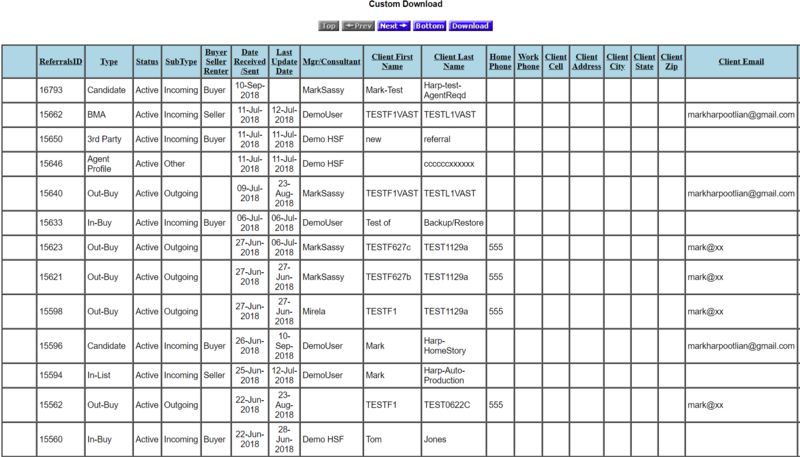 This is so we can display a sample report rapidly. When you click the DOWNLOAD button to put the records into a spreadsheet, ALL the records will be included. We apologize for the omission and hope it didn’t cause too much confusion. Over the last few weeks we have been responding to requests to make it easier to filter records used when using the DOWNLOAD button and when using the ‘Custom Financial Report’. Want to get a fast, simple report? Perhaps you want to drop the records you find into an Excel spreadsheet? It’s as easy as 1, 2, 3. Click the DOWNLOAD button to open the field selection page where you can select which fields you want included. Click the DOWNLOAD button on the field selection page to insert the results into a spreadsheet. If you were to start with clicking REPORTS, and select the ‘Custom Financial Report’ the process is the same. Opening the report will take you to the field selection page. If you have already used the SEARCH button in the Client List page to select the records, you’re set to DOWNLOAD. If not, just return to the Client List page and follow the 3 easy steps shown above. You may think of the DOWNLOAD button on the Client List page as a shortcut to the ‘Custom Financial Report’ since they now work the same way. As was announced in the previous blog this week, the new Relocation Specialist (ReloSpec) version will be in production on Monday, July 2nd. This new version is easier to use, a little better looking and the ADD NEW page will save lots of time when entering new referrals. If you want a quick orientation to the new Client List page a 10-minute video is now available. Click here to view the video. Be sure to review the previous blog and the section on ‘Getting Ready for the new ReloSpec version’. There are simple instructions there that will be important for using the new version, especially the importance of allowing pop-ups. Thanks to all who helped with suggestions and encouragement. We’re very excited to show off this latest version.